Unlike permanent, hard wall cleanroom systems, soft wall cleanrooms feature plastic, often translucent strips suspended from a ceiling or other high point of attachment. They can also be enclosed by tightly stretched fabric on a frame. Semiconductor fabrication, medical testing, biotechnology research, and other very sensitive processes can be conducted in soft wall cleanrooms. Many processes that don’t require extreme levels of decontamination can be conducted within soft wall cleanrooms. They are often easily installed, and some varieties are portable; these qualities can make soft wall cleanrooms more economical than hard wall alternatives, especially for smaller-scale operations that don’t require constant access to a strictly controlled working environment. When combined with other control measures like protective clothing for workers (such protective clothes are sometimes called bunny suits), air filters, and double doors, soft wall cleanrooms are capable of achieving high levels of decontamination. Clean rooms are subject to rating by governmental regulatory authorities as well as international standards-setting organizations. The United States government and the ISO have separate sets of standards, and both are observed by clean room manufacturers. The US FED STD 209E clean room standard system is based on the number of 0.5 micrometer-sized particles per cubic foot found within a clean room. Class 1 clean rooms, for example, should feature no more than one 0.5 micrometer-sized particle per cubic foot in their atmospheres. In order to establish and sustain this extremely low level of contamination, a complex system of high-efficiency particulate air (HEPA) filters working in concert with personnel decontamination systems, sterilization chemicals, and other advanced measures must be employed. It is very difficult for any soft-walled enclosure to reach this level of decontamination, though it is possible. Permanent, hard-walled enclosures with double doors and decontamination air jets are better able to generate Class 1 conditions. Such an extreme level of decontamination is not necessary for many sensitive applications, though. Classes 100, 1,000 and even 10,000, whose classification numbers correspond with the volume of particles per cubic foot, are suitable for many high-tech operations, and soft-wall enclosures are very capable of generating those levels of decontamination. 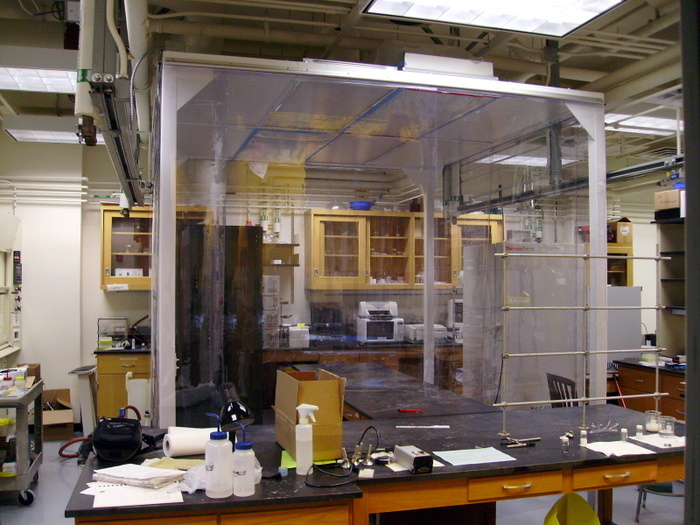 Softwall Cleanrooms Soft wall cleanrooms are atmospheric and climate-controlled enclosures used to conduct sensitive research, fabrication, testing, and other processes.